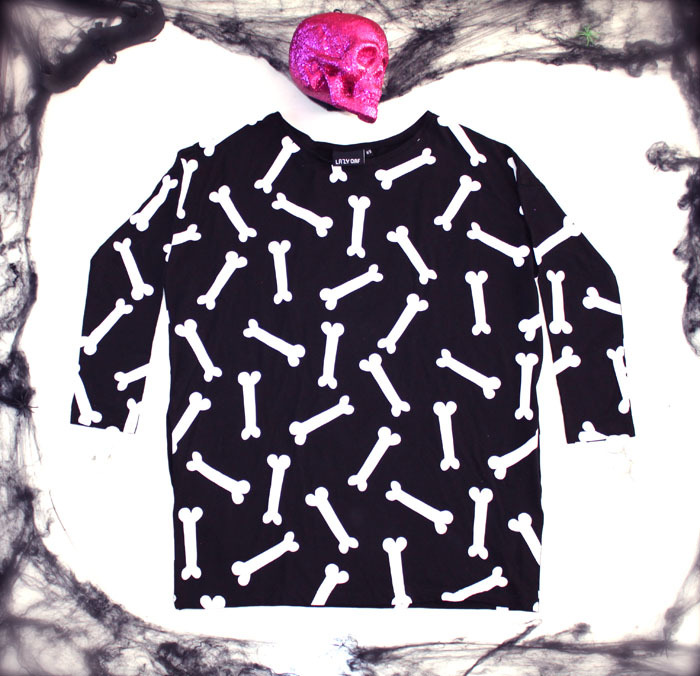 Brush up on witch craft and join those girls from The Craft by teaming our Bones Crop T-shirt, now Â£22, with one of our Black Skull Necklaces. Pair these with a tartan mini skirt, blouse, a pair of Mary Janes and some heavy eye liner and you'll be ready to cast a spell on whoever you wish. 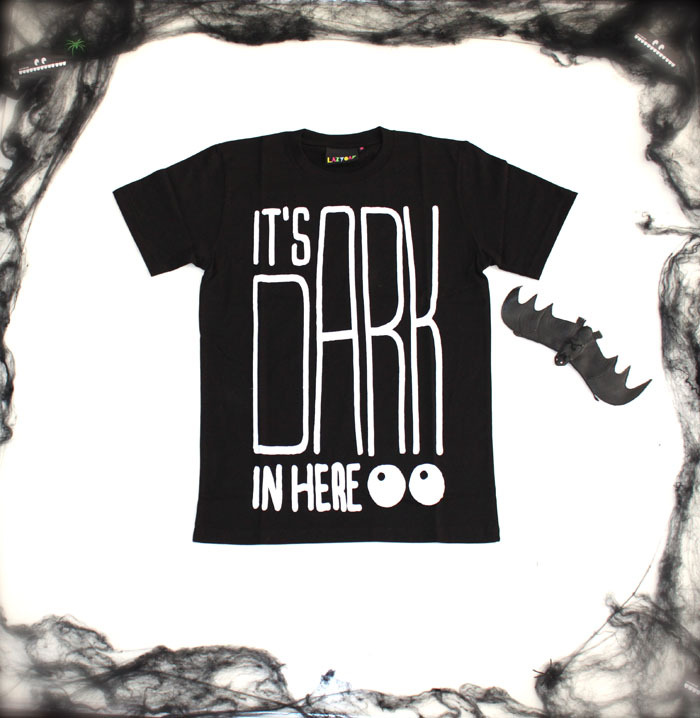 Transform yourself into a member of the Mystery Inc. gang with our It's Dark in Here T-shirt now down to Â£22.40. MONSTER MASH Flap your arms around like Frankenstein in our Toothy Crop T-shirt, Â£36, creeped up with the rebellious Bad Mini Skirt, Â£30.40. You could also throw in the Toothy Tote Bag for the full effect. GOOD IN THE HOOD If dressing up as horror film killers is your thing then this Balaclava T-shirt, Â£12, will be a winner. Team it with a classic Scream mask and get ready to frighten the life out of all your party pals. DAY OF THE DEAD Draw inspiration from Mexico's Day of the Dead by turning yourself into a skeleton in our Bones Dress, Â£44. All you need now is a whole lot of black and white face make up. 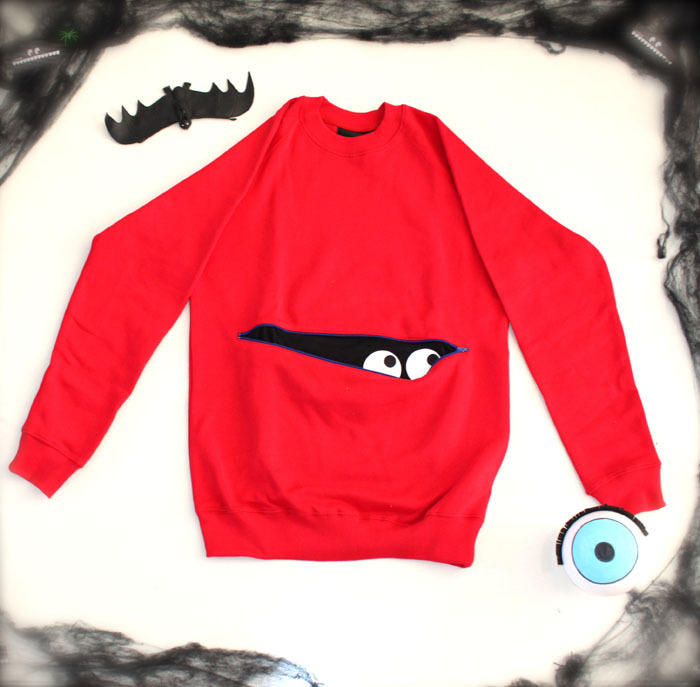 I SEE DEAD PEOPLE Freak out your friends when you reveal the spooky eyes hidden under the zip of this Peekaboo Sweatshirt, now Â£60. The blood boiling red colour way will work particularly well. 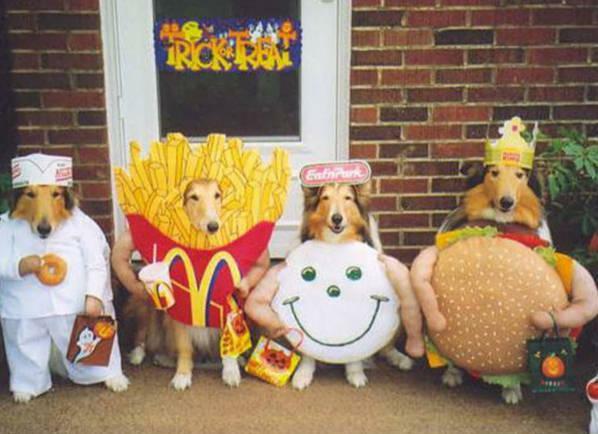 AIN'T NOTHING BUT A HOUND DOG The obvious choice of Halloween fancy dress is a cat but being obvious is boring so we're suggesting you break all the rules and go as a dog instead! All you need is one of our Dog Crop T-shirts, Â£36, which you can team with a pair of velvet leggings, furry paws and a floppy pair of ears. 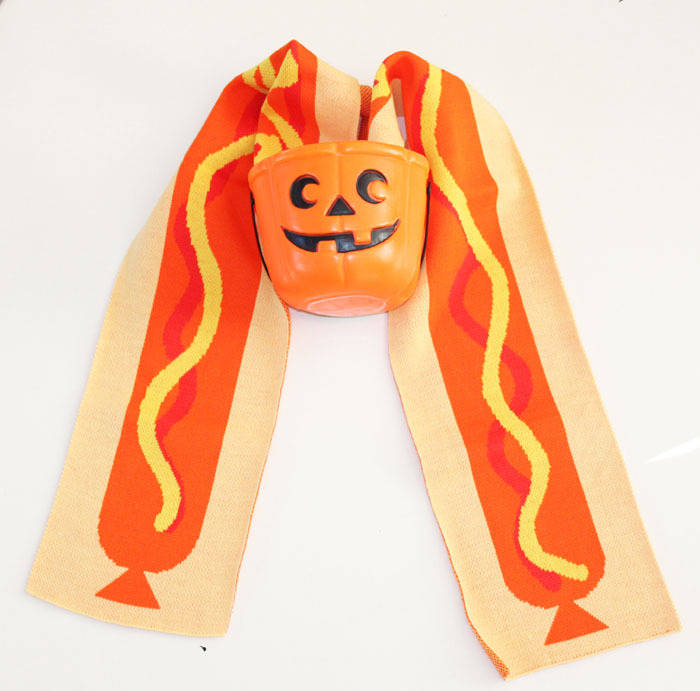 PUMPKIN HEAD Fast food fancy dress is the best as this photo taught us which is why we've included our Hot Dog Scarf in the discount deal. Plus, if you wear one of these, you'll match the pumpkins perfectly. 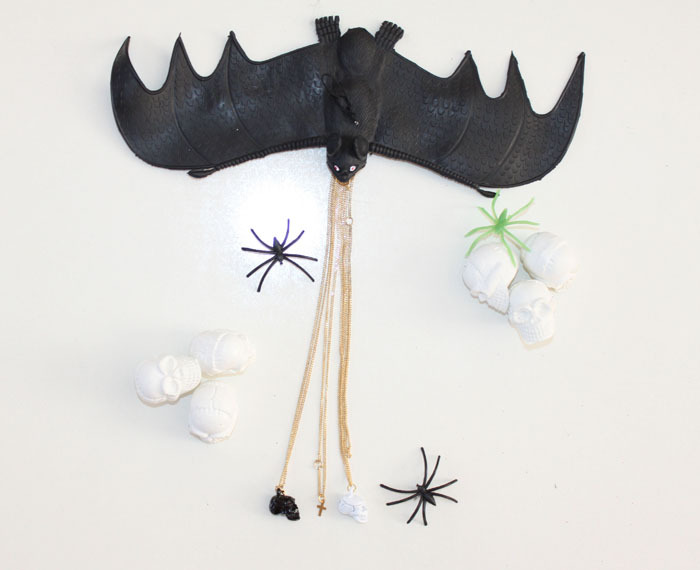 A CASE FOR MUDER AND SKULLY Finally, we've thrown in our ghoulish Skull and Cross Necklaces in black and white at Â£12.80 ready to add a goth finish to any outfit. 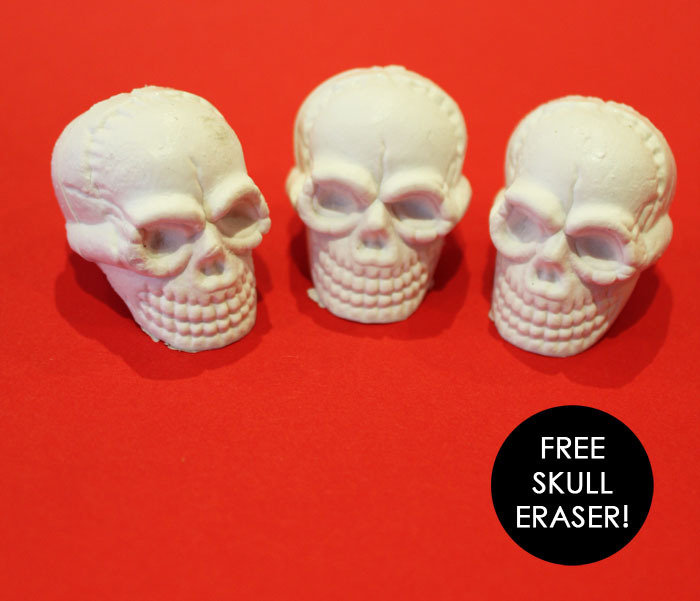 And, to make this discount even more deadly, we're giving out a FREE SKULL ERASER with every purchase made from the spooky specials. This offer starts today and finishes at midnight on Sunday 23rd October. It is also available in our Fouberts Place Store all weekend.